For all the locals, or those who just want to make the trip to Albany, we welcome you to join us for a night of fun, friends, fur, cocktails, and holiday merriment. 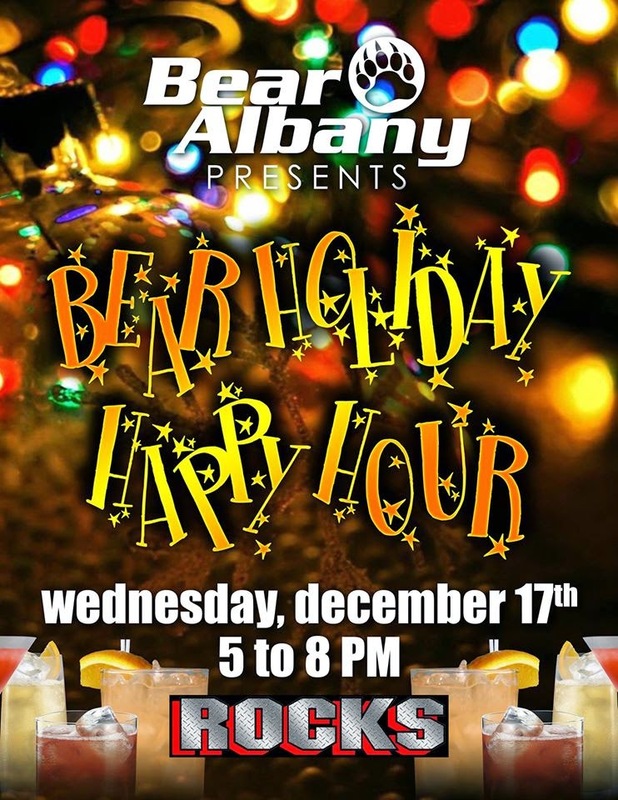 Join us at Rocks (77 Central Ave. Albany) from 5-8pm on Wednesday the 17th to see your friends before we all go our separate ways for the holidays. If you get the chance, try to bring a canned good or three. We will be collecting donations and delivering them to the Albany Damien Center. This will be a fun time in a more casual setting than the usual bear run. See who's going!